Han j'adore ta sélection ! tes ongles semblent être en ARGENT : MAGNIFIQUES !!! Superbes sélection photo, j'adore ! Je trouve que les ongles argent c'est juste génial, j'avais déjà vu ça, et j'ai TROP envie ! J'adore ta sélection. Quelqu'un sait où trouver ce vernis ??? La 3ieme photo est impressionnante, le dos devient bijoux! Très jolie cette sélection, j'adore les bagues armures ! That third picture is absolutely stunning! love those pictures! very lovely inspirations~ followed you via GFC! Out of all accessories, I love jewelry the most!! j'adore ces bagues argent et le vernis c'est qui ? You have chosen some fantastic photos, I love jewelry. Très jolie sélection, et le silver nail art, c'est carrément whaou! J'adoooore! et collier qui plonge dans le dos.... WANTED!!! bisous! Canons ces photos, mes préférées/ 1, 2 et 4! J'adore les vernis, ce sont les patchs Minx? J'aime beaucoup la 2ème et la dernière photo. Le vernis style "métallique" est superbe. thanks for your commnent on my blog! Of course we can follow each other! 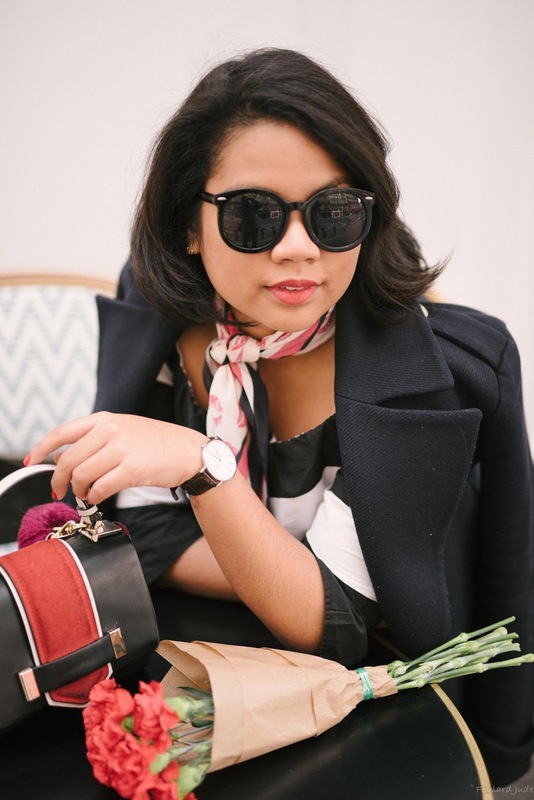 I've already follow you on Bloglovin! J'adore la premiere photo ! Elle est topissime ! These are so beautiful! Especially the one with the bejeweled back! Thank you for the inspiration, dear! 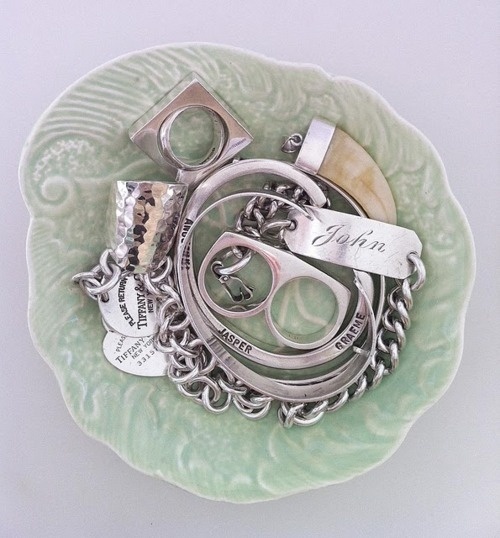 Your blog is so beautiful, the jewelry here is to die for. Love the first photo! So cool!!! Following your facebook page and Bloglovin!!! Just loved everything metallic here. Thanks for ur comment on my blog ! And of cource would appreciate following each other on gfc n b-lovin. J'aime beaucoup ta sélection ! Surtout avec les ongles argent , c'est très jolie comme plus !! 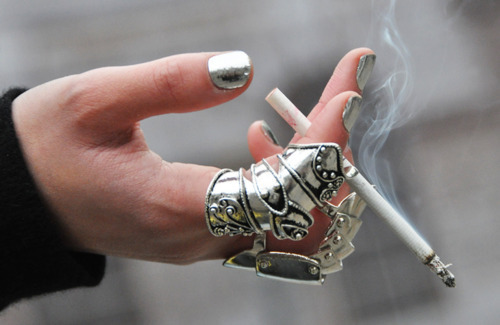 LOVE the silver nails, amazing!! rings crush!!!! what a dream! i invite you to visit "KS"
really adore the large claw cuff and the reindeer ring.... the cascading waterfall of jewels along the back is also so sultry! Que excelente post! Preciosas todas las joyas, no sabría con cual quedarme! Preciosas imágenes! I love these! 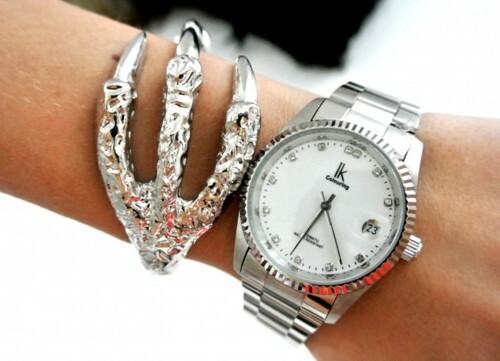 they all are amazing but my favorite is the claw bracelet! Awesome choices. I usually wear gold jewelry. Hey girl. I love this photos. All those rings and bracelets are so wonderful. I want to have them all. Certains de ces bijoux sont magnifiques comme le collier qui tombe dans le dos !! Gorgeous! 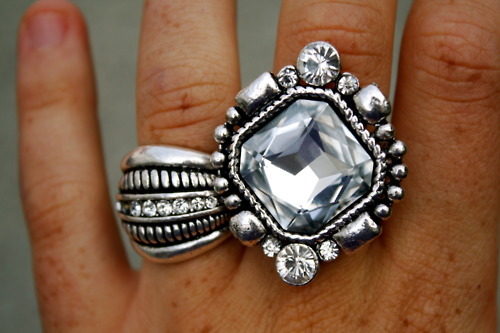 I especially love the silver nail polish with silver jewelry. These are gorgeous. 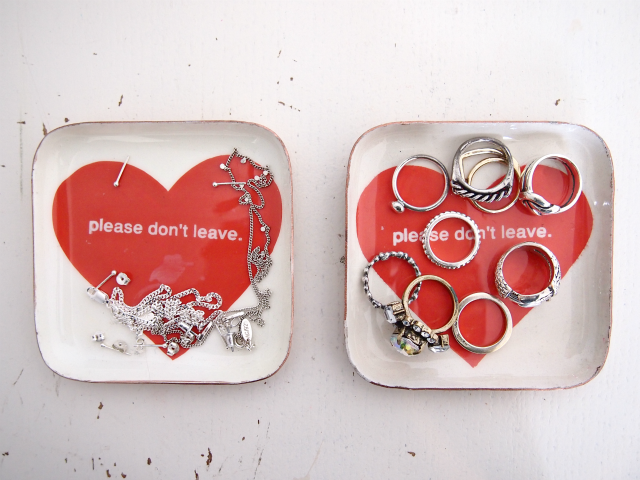 Love the knuckle rings. 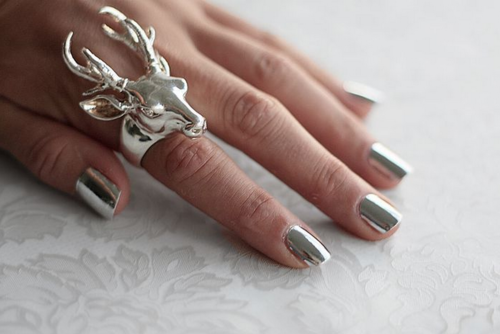 amazing inspiration and we are also really loving all these silver nails! Beautiful! Love the bedazzled "back necklaces" picture! omg! these are unique and beautiful pictures. how about we follow each other? let me know. Love the inspo and new look of the blog! Love them all! Now I want to go for some accessories shopping! All of the rings are so gorgeous! The first 2 photos are my favorite! And thanks so much for the sweet comment on my blog! Yes, of course I would like to follow each other!! I'm starting now and look forward to you following back! Ces photos sont réellement très inspirantes ! J'adore la première photo. Elle est géniale. Je ne tenterai peut être pas le vernis silver. Quoique, why not en hiver ! I love it !!! magnifique selection !! Tous ces bijoux sont magnifiques ! Et le vernis argenté est top ! Je te suis déjà sur blogger, j'ai découvert ton blog hier et je l'aime beaucoup !